Horrific facts regarding the Schapelle Corby Case. Denial of justice, for sure. But did Bali's police plant the drugs on Schapelle Corby? Could you end up in an Indonesian jail cell for 20 years?! Many people now recognize the name Schapelle Corby, the young Australian female tourist convicted on May 27th 2005 to spend 20 years in jail after customs / the police found 4.1 kg of marijuana in her unsecured luggage at Bali's Denpasar Airport. The case generated a lot of interest with people debating Corby's innocence or guilt. But the trouble is, this is not a matter of whether Corby was guilty or innocent. It is a matter of whether the investigation and trial were conducted fairly, even legally. Whether the police actually planted the drugs, as may well be possible. And whether it could happen to someone else, perhaps you. Do not brush this chilling prospect off. It is a well published / known fact that Kuta's street drug sellers are allowed to operate by police officers on the basis; a) the officers get a share of the money the drug pimps make, b) that the pushers "finger" their customers to the police and even plant drugs on some people to this end, c) that people caught with drugs in Bali have money extorted from them by the police in return for liberty. No, really, these are facts. Also it is a chilling fact that drug gang members get jobs with airline companies to abuse passenger luggage to move narcotics. We believe Schapelle Corby should never have been put on trial as the evidence (the drugs) had been compromised by the Balinese police to the extent Corby could not prove her claim the drugs were planted in her unsecured bag, either by airport baggage handler drug rings (yes, they do exist) or perhaps by the Balinese police / customs officers themselves. When we say compromised, we mean that a large number of police officers either through ulterior motivation or extremely poor training and judgment handled the drugs, destroying any and all finger print evidence. Although some people may argue that it was unlikely any finger printed evidence existed, it may well have done and its loss ensured the truth would never be known. For that reason, the trial should not have gone ahead. Corby has a right to being innocent until proven guilty. What makes the Corby investigation and trial even worse is that the Australian authorities provided evidence in her favour, which the Indonesian judges rejected as inadmissible. This evidence was a statement from Brisbane Airport, where Corby boarded her flight, that her bag went through a sophisticated detection system which should have detected any drugs in her bags. Plus evidence from the Australian Government themselves that a known Australian drug ring may well have planted the marijuana in Corby's bag. Even the head of the Balinese drug squad, Colonel Bambang Sugiarto, stated the case was flawed. 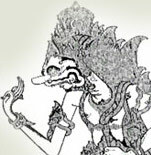 The final breach of Corby's rights came from the Balinese court itself, most notably Linton Sirait the chief judge in her trial. Indonesian Courts work, or should work on the basis of innocent until proven guilty and burden of proof. Because the Balinese police destroyed any fingerprint evidence / proof that Corby actually handled the drugs, Corby's rights were clearly violated as the burden of proof quite obviously had never been satisfied by the prosecution / police, as all they had was flawed / compromised evidence. But what made it much worse was a clear indication that the judge, Linton Sirait, had decided Schapelle Corby should be found guilty even before the trial as he told Corby's defense team that they had not done enough to prove her innocence. Indonesian law states that a person is innocent until proven guilty, but judge Linton Sirait's words indicate her fate was pre-agreed. Unfortunately, you may be unaware of this, but trials for such matters in Indonesia are not decided by juries, but by the judges who have one of the worst reputations for corruption, incompetence and self-interest anywhere in the world. So, the horrifying possibilities exists that an Australian drug ring or even the Balinese police / customs officers themselves actually planted the drugs, deliberately handled the drugs to destroy the evidence (or lack of it) or acted with such abject unprofessionalism so as to be hard to believe, the authorities decided to make an example of Corby irrespective of whether she was guilty or innocent, and instructed the judge to send her to jail. Come to Bali and pay to see Schapelle Corby, the zoo animal? The final disgrace and shame on the generally good people of Bali, who have little knowledge of and no involvement in Corby's case comes from reports that Corby's jail guards have actually charged people (anyone who was willing to pay) to come and gawk at Ms. Corby behind bars. We believe this is a violation of her human rights, which comes on top of the most serious breaches possible of her civil rights; What Ms. Corby should have got was an early release (without trial) on the basis that the evidence had been so fundamentally and absolutely compromised by the police. Failing that, the judges should have ruled the prosecution case (evidence) too seriously flawed to permit a trial. And as they went ahead anyway, the right to having her trial declared a mistrial given the judge's comments that showed he viewed her as guilty until proven innocent. How do you avoid being the next Schapelle Corby? 4) If the airport you are flying from offers a security film sealing service, where they seal your bag(s) with a strong film, use it.